But then again, it's been HOT since the first week in May here in Alabamaland! We didn't have a real Spring. Straight into the 90 temps and AC and lots of Ice Tea! 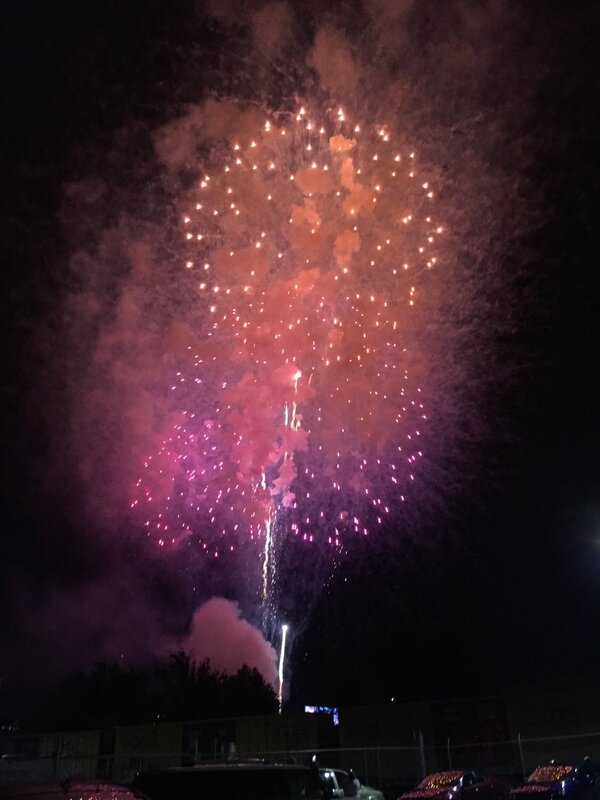 I took a few pics at the Fireworks at the Space and Rocket Center on the 4th. Course they moved it over this year and you can't see the Rocket in the pics! Hope you all had a great holiday last week!